You will be given a reference e-book to read which has 642 pages And the test will be based on that e-book , you can take final test within 1 year of purchase. Groovy refers to an object oriented programming language which is primarily designed for Java platform. It can be defined as a more dynamic language which comes with features that are quite similar to Ruby, Smalltalk, Perl and Python. What makes Groovy amazing is the fact that it is versatile enough that you can also use it as an effective scripting language for Java. It is known for being dynamically compiled to JVM which stands for Java Virtual Machine bytecode. You can also expect this programming language to have the ability to interoperate with other libraries and codes based on Java. It should also be noted that Groovy comes with codes that are more compact since these do not require every element which is required by the Java platform. Because of this, programmers who use Java can easily learn everything about Groovy. It is also important for you to note that Groovy comes with remarkable features that you can find in Java. Among these are more dynamic and static typing, operator overloading, native syntax designed for associative arrays and lists, closures, polymorphic iteration, safe navigation operator, expressions that are primarily embedded within strings and additional helper methods. Groovy also offers native support for different markup languages including HTML and XML which is mainly accomplished through inline DOM syntax. If you have longed to become a certified Groovy professional, then be aware that Brainmeasures, with its well-detailed Groovy certification program, can help you out. 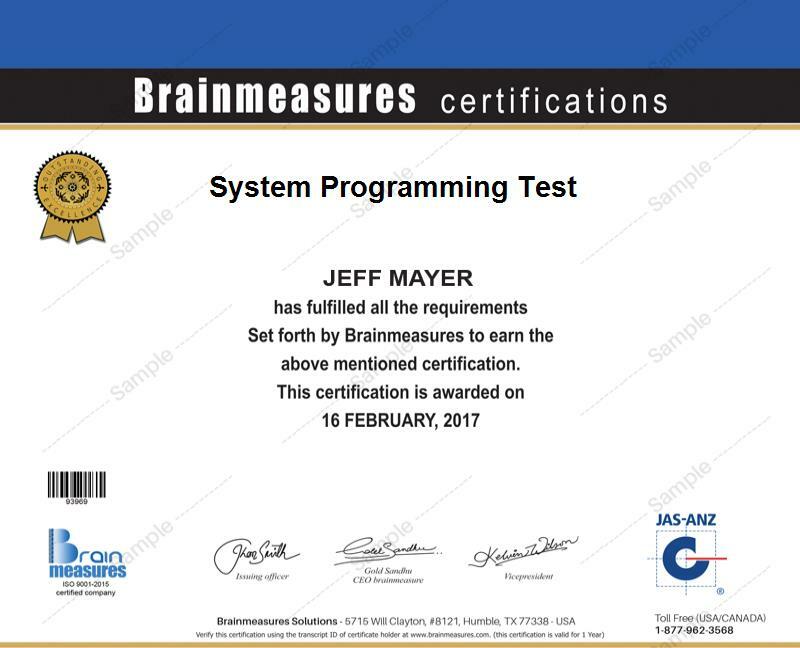 The Groovy course offered by Brainmeasures is one of its most remarkable online certification courses because it is capable of supplying you with all the relevant information linked to this popular programming language. With the kind of Groovy training provided by Brainmeasures to all the participants of this program, it will no longer come as a surprise if everyone becomes excellently proficient after completing the course. The training offers you essential information about the programming language, its major functions and benefits, how it differs from Java, how it can improve the effectiveness of Java and the most remarkable features installed in it that work in improving its functionality. By deciding to earn your Groovy certificate from Brainmeasures, you will no longer experience difficulty mastering all essential concepts that are specifically linked to this field. How can Groovy help Java professionals, script programmers and pragmatic programmers? How to compile and run the Groovy programming language? How to find the right place of Groovy in the Java environment? How to effectively override operators? The Groovy certification program which is now easily accessible at Brainmeasures has numerous beneficiaries. You can expect this highly comprehensive online certification program to work perfectly for all programmers and developers who wish to gather more information about Groovy scripting and programming language and any other professionals who plan on enjoying all the benefits that the act of incorporating Groovy into the whole lifecycle of software development can offer. A higher level of salary can also be expected by Groovy certification holders. If you are already one of the holders of a Groovy certification, then you will find it easier to get the position of a Groovy software engineer and earn approximately $79,000 to $104,000 every year. You can also take advantage of your certification by using it to work as a Groovy software engineer which will surely let you enjoy around $85,000 to $110,000 annually.